It feels strange not seeing this little guy for a few months, because since over a year ago I have seen him every three months for his Grow-With-Me sessions. :) He sure has grown since that tiny newborn, but a few things haven’t changed— including those baby blue eyes and that white blonde hair. 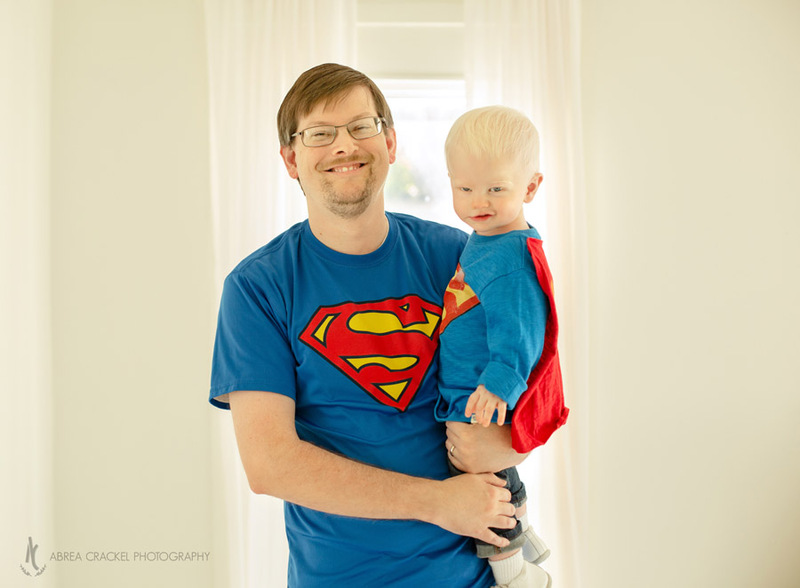 It turned out to be a cold, windy day for his one year session, so my friend Julie at Julie Davis Photography graciously let us use her nice, warm studio. We stayed cozy inside as Grant showed off his standing skills and gave us some big grins! He did break his arm just a few days before his session so he was sporting a little cast, but he didn’t let that slow him down one bit. He even became a little “Superman” at the end, with his dad’s collection of Superman memorabilia in the background! Happy First Year baby Grant! It has been such a joy to be your first photographer!